Image: The sustainability of the Barwon River is of significant concern given the level of over extraction being carried out by irrigators. Collarenebri by cGoodwin is licensed under Creative Commons BY-SA 3.0. 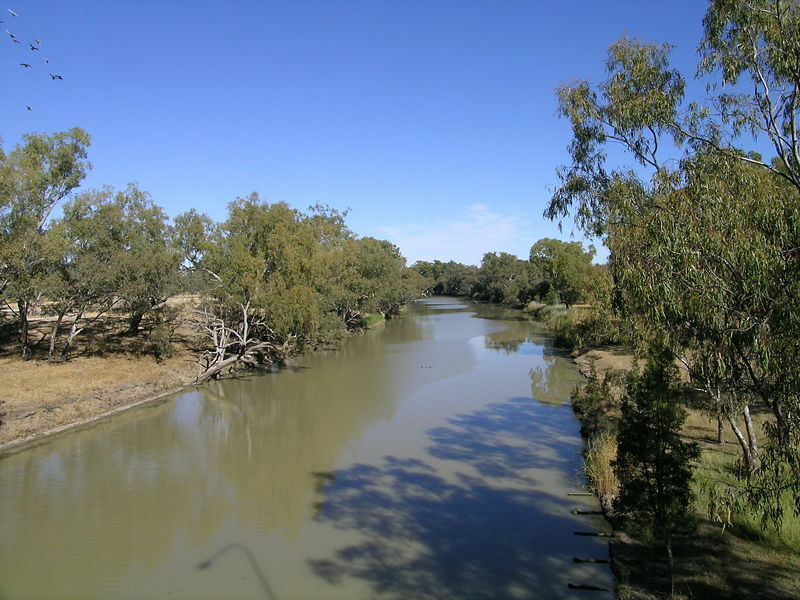 ABC’s Four Corners programme that aired last month raised serious question around the allocation, monitoring and policing of water allocations within the Murray Darling Basin. The programme alleged that water bought from irrigators by the government to use as environmental water was being used to irrigate cotton farms. Several New South Wales irrigators were accused of offences including water theft by metre tampering, over extraction, and pumping water during irrigation bans or low flow periods. The New South Wales State Government initially investigated several of these cases, gathering information that suggested a significant over extraction of water by irrigators. When the investigating officer applied for government consent to conduct an escalated inspection of water extraction methods of one farmer, the approval was denied. This coincided with a sudden drop in allocated funds for the investigations unit, suggesting that forces within the department were trying to hamper the prosecution of non-compliant irrigators. The programme also highlighted the ill effects of rule changes that effectively allow growers to draw high volumes of water out of the river during low flows and alleged backroom deals between irrigation lobbyists and the New South Wales State Government. The Lucas Group Director Geoff Lucas sees the lack of regulation, monitoring and compliance as a major issue for the ongoing management of the Murray Darling Basin. ‘Breeches in water use – including the manipulation of monitoring systems – is theft, just like scamming money from an ATM or robbing a bank,’ he said. ‘The system needs to be overhauled at every level, from reviewing water allocations through closer monitoring of water use, and it’s essential the authorities prosecute offenders so there is a deterrent for other irrigators’. His suggestions include investing in better water flow modelling so that irrigators can be instructed on the amount of water they can draw in line with the needs of the environment and other water users down stream. He also proposed that New South Wales, Queensland and Victoria adopt the water allocation model of South Australia, so licensed water use is limited when water flows are scarce. Mr Lucas – a former board member of Agribusiness Australia – sees technology as being key to the successful monitoring and compliance of water extracted through the basin. ‘The federal government needs to invest money so effective monitoring systems can record the extraction of water at every irrigation extraction point along the River system. This can be remote accessed, so the basin authority has real-time access to data on water use so any deviations can be quickly identified and managed. Given the promises of the NBN, a remote-accessed real time system should be possible. ‘A lack of proper process and governance around water use for irrigators is making a farce of the water market and devalues water licences. Effective implementation of the basin plan is critical to managing the water resources, which are available for all Australians.